What is the most important information I should know about silodosin? Do not take silodosin together with similar medicines such as alfuzosin, doxazosin, prazosin, tamsulosin, or terazosin. There are many other drugs that can interact with silodosin. Tell your doctor about all medications you use. Silodosin is an alpha-adrenergic (AL-fa ad-ren-ER-jik) blocker. Silodosin helps relax the muscles in the prostate and bladder neck, making it easier to urinate. Silodosin is used to improve urination in men with benign prostatic hyperplasia (enlarged prostate). What should I discuss with my healthcare provider before taking silodosin? medicines similar to silodosin --alfuzosin, doxazosin, prazosin, tamsulosin, or terazosin. Silodosin can affect your pupils during cataract surgery. Tell your eye surgeon ahead of time that you are using this medicine. 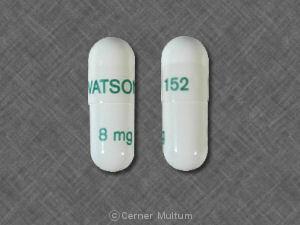 Although silodosin is not for use in women, this medicine is not expected to harm an unborn baby or a nursing baby. If you are a woman and you take silodosin, tell your doctor if you are pregnant or breast-feeding. 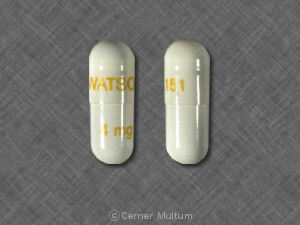 Silodosin lowers blood pressure and may cause dizziness or fainting, especially when you first start taking it. You may feel very dizzy when you first wake up. Avoid getting up too fast from a sitting or lying position, or you may feel dizzy. Get up slowly and steady yourself to prevent a fall. While using silodosin, your blood pressure and prostate will need to be checked often. Some things can cause your blood pressure to get too low. This includes vomiting, diarrhea, or heavy sweating. Call your doctor if you have a prolonged illness that causes diarrhea or vomiting. What are the possible side effects of silodosin? Many drugs can interact with silodosin, and some drugs should not be used together. This includes prescription and over-the-counter medicines, vitamins, and herbal products. Not all possible interactions are listed in this medication guide. Tell your doctor about all medicines you use, and those you start or stop using during your treatment with silodosin. Give a list of all your medicines to any healthcare provider who treats you. Your pharmacist can provide more information about silodosin. Copyright 1996-2017 Cerner Multum, Inc. Version: 3.01. Revision date: 11/18/2015.